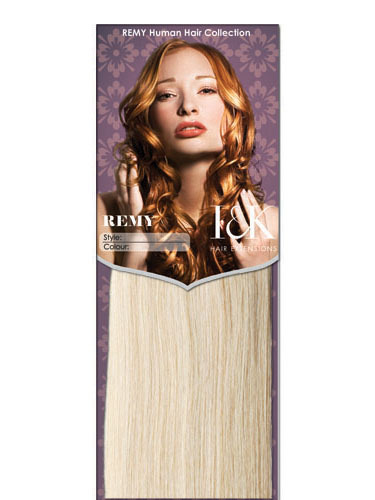 Remi Cuticle hair is the ultimate luxury in hair. The healthiest hair is hand picked strand by strand. This ensures all cuticles are laying in the same direction. Our cuticle hair is superior quality, soft to the touch. Long lasting and tangle free. The weft is sewn to help eliminate shedding. As it is made of 100% Natural Human Hair, it can be cut, coloured, straightened, and curled. Very quick delivery! The hair is excellent and I love it! Stunning hair extensions. I had it on for a whole night thx! Very quick delivery! Is this same as the human hair extensions as the human hair weave?